In the ultra-modern age of virtual reality, online shopping and hot yoga, the old-school pastime of RV touring just happens to be booming. Sales of recreational vehicles are at genuinely never-before-seen record levels. And buyers are getting younger. The RV category includes both motorhomes and trailers of all sizes. 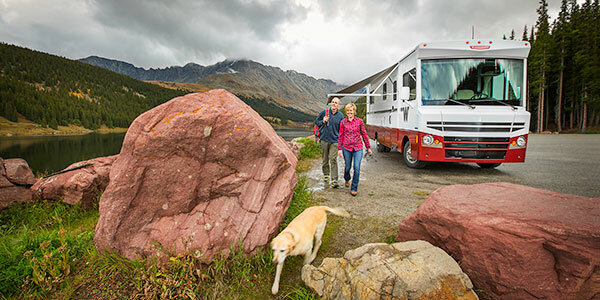 Last year, 430,000 recreational vehicles of all kinds were sold, according to the RV Industry Association, an increase of 15% over the year before. And sales have been rising year after year following a one-year decline in 2009, during the financial crisis. Some of that has to do with low gas prices and easy credit. But ironically, the flood of new technology — smart phones, 4G data connections and so forth — has also helped drive the trend. It’s made driving around the country for weeks at a time a much less daunting prospect. And now the people who grew up with technology are now reaching RV-buying age. More than half of RV buyers are under the age 45, according the RV Industry Association.